No Hassle Pricing! What you see, is what you pay! Welcome to Route 83 Auto Center, your source for hometown service & hometown values! We’re the Samble family, and our 2nd generation business is here to serve your needs! Whether it’s mechanical services, towing, body repairs, or used car sales, we’ve got you covered. 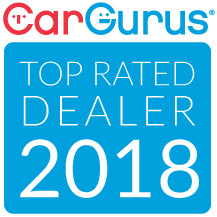 We offer a wide selection of quality pre-owned vehicles that all pass our rigorous 23 point safety inspection process. Our inventory is constantly changing so be sure to check out our current inventory for the most up to date listing of vehicles in stock. Unlike most repair shops, Route 83 Auto Center offers a full service AAA approved body repair shop. Our body shop has the latest technology to fix minor bumps and dings or near total collisions back to new! Our downdraft paint booth ensures the perfect match to your existing paint, or the highest quality new paint job. We even work with all insurance companies to make sure your accident is repaired as efficiently as possible. We also offer custom work for even the most high end classics. Contact us today & experience hometown service & hometown values for yourself!